…….In Praise of Walking by Thomas A. Clark. If I start a hike with a troubled mind, slowly with each step, some clarity returns. Some days because of the swirling cauldron, it may take a longer hike and thus more steps:) Walking in itself is a meditation and requires very little, just give yourself up to it. You can, for the most part, just use common sense and your sense of wonder, and a new world opens. Some years ago we camped at Bellevue Beach and decided to go for a walk. 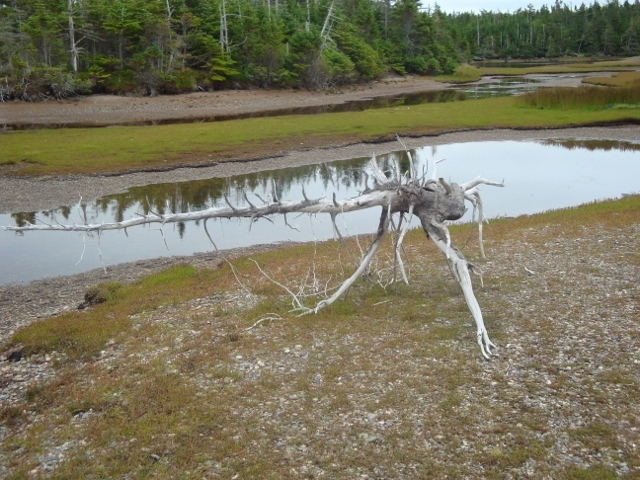 It turned into a long hike, down the beach, around a little triangular headland and through various types of vegetation…but oh the amazing things we discovered! Aardvark or anteater? 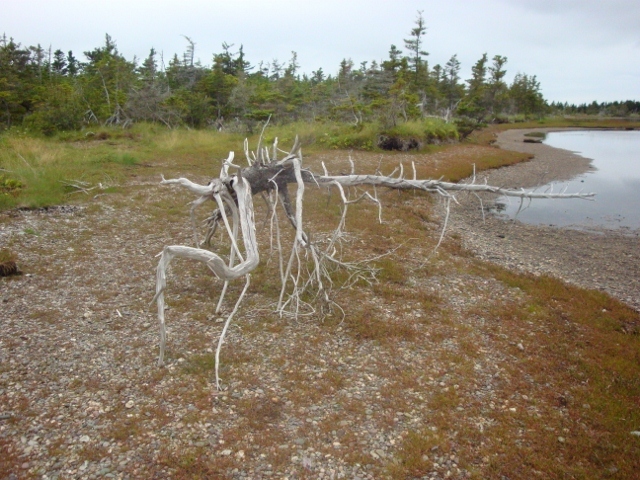 According to the Dictionary of Newfoundland English it is a cronnick or crunnick…a tree or root killed or much weathered by wind. I did not know this at the time, but was totally fascinated by it. I sent the photo to my brother, SH, who immediately replied “my dear, it’s a crunnick!” and referred me to the Dictionary of Newfoundland English! You also learn new things on a hike. 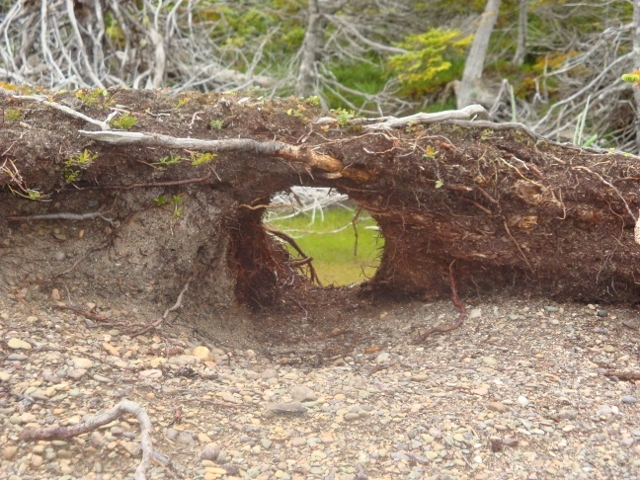 On this same hike, I came across this and I still don’t know how this perfectly round hole was formed. It’s so good to grow young. Like. I am privileged to accompany Carol on many of these hikes/walks and look forward to reading more. She helps me keep active and young.